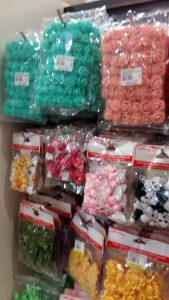 While visiting Masjid India area, I came across a large shop hidden in the basement of Semua House which sells all sorts of craft supplies (ribbons, beads, wrapping, cute containers, plastic flowers and many other items) as well as supplies for hantaran kahwin (for Malay weddings). 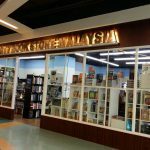 The shop is called Sin Yin Sdn Bhd and it is located at the basement of Semua House in Masjid India area. 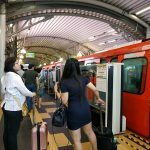 I discovered the place by chance…. 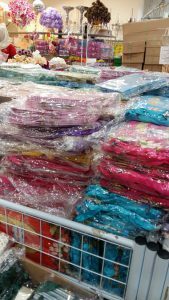 I was visiting Kedai Bunga Tomei which is another supplier for hantaran kahwin when I ventured into Semua House and made this wonderful discovery. Above are cute miniature glass and plastic bottles- some come in the form of lamp and other shapes to be used to fill up decoration or even food. Once, a friend of mine bought some miniature glass bottle and filled it up with the cookies that she had made to give to us for Christmas gift. I love the cute little bottle and I kept it to use it to store loose change. Above and below: Beads and jewelry findings. 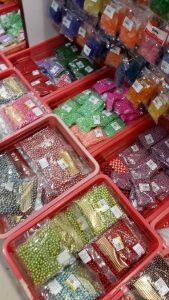 I myself still have quite a collection of beads that I have acquired when I was young, mainly to use to make craft works like beaded hairclips, fridge magnets and keychains. 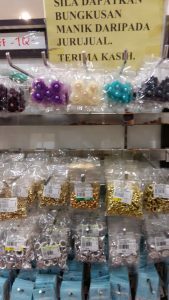 I find going into a craft supplier shop to be therapeutic- I love seeing the array and collection of different kind of beads, ribbons and other craft supply items. I noticed the items are not expensive. Satin ribbon roses- one of my favourites as I used to stitch them myself mainly to make ribbon roses hairclips. However you can buy these ribbon roses in packs of the same colors as viewed above and below. These items can be used as craft decoration. It can also be used as a finishing touch to a small mesh bag that is used as door gifts for events and weddings. 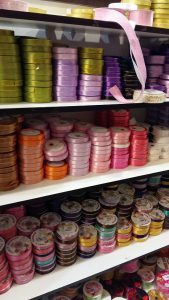 Ribbons…. 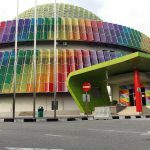 of all sorts of designs, width, colours and materials. 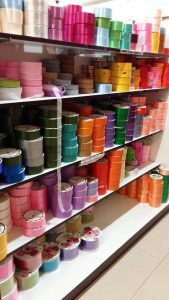 This shop has satin ribbons of almost all colours imaginable, plastic ribbons (plain and shiny) as well as cloth ribbons. Below are gift packs that are sold in bundles. It can be used as goodie bags for parties and door gifts for events and celebrations. 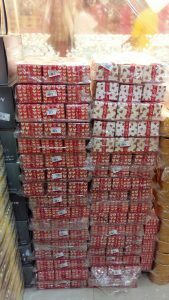 Below are gift boxes- a lot of such boxes are used by those who sells costume jewelry at shops or craft markets. There are also many other items available at this shop. This is not a paid review. 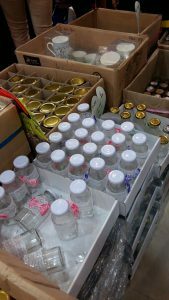 I love to discover new craft shops and share it in my blog because I spent my younger years exploring various places to look for shops selling craft items. 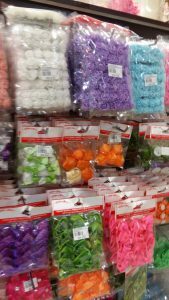 Hopefully, this would be a useful place for you if you are a crafter at heart and wish to find a place that sells craft items are reasonable price. 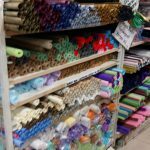 Note: If you are looking for finished decorated supplies as door gift for Malay wedding, you can find at Kedai Bunga Tomei which is located nearby at Jalan Masjid India. However if you wish to see more options – or do the gift sets from scratch, this shop does have a lot of the supplies.